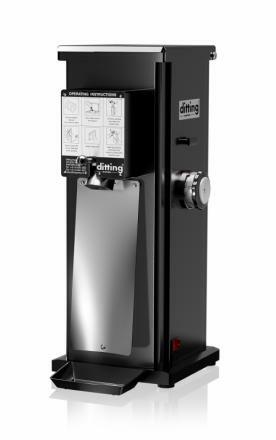 Ditting stands for high quality, innovative and competitive products within the coffee grinding industry. Since our founding in 1928, we have constantly adapted ourselves to the ever-changing requirements of the market by offering proven, user-friendly, state-of-the-art products and services to our clients. 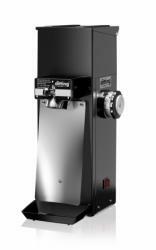 The right solution for special applications in coffee roasting plants. Customer specific coffee ground in small quantities requires above average flexibility which large industrial type grinders can not handle. The Mahlkönig KFA 1403 models handle this task quickly and efficiently. 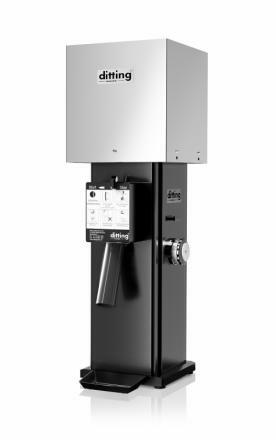 The Ditting KFA 1403 is available with 10 kg hopper and outlet extension tube and feature a special device which regulates the inflow of beans. Suitable for small to medium-sized roasting operations where a grinding capacity of up to 150kg/h is required.